Fun Fact: Remembers first tree he ever planted, an Eastern redbud, in the Franklin Square neighborhood; years later watched as it got swept away in a building demolition. “Plant a tree, save a life” is more than just a slogan to an enterprising business owner. Bryant Smith has seen disaster from on high and down low. Growing up in a housing project in East Baltimore, surrounded by what he calls “a lot of nasty things” – poverty, crime, drugs, prison – he never imagined that he would one day be a licensed pilot. It’s not that he started out with that as a dream. As a child, he didn’t even know what to dream. Until he became involved in an after-school program called The Door. Four years later, when the Parks & People Foundation came knocking, looking for a forester trainee, The Door recommended Smith. He learned how to plant trees, how to prune them, how to transform vacant lots into community gardens. He also noticed an occasional follow-on effect: less crime. From there Smith got a job with the U.S. Forestry Service, which sent him to college and also to sites around the country, to do ecological research projects and study the effects of natural disasters. One component of his education was aviation. Looking down on forest fires from high above, Smith realized he could learn to become a pilot. Hunger, poverty, lead poisoning. How do I provide resources to people in need? Thus was born Flight 1 Carriers. Smith and his team put together Disaster Relief Packets and Humanitarian Aid Packets, all of which contain potable water, healthy food (not processed or loaded with sodium), and hygiene products. The DRPs, for people who’ve been hit by Hurricane Matthew, for example, contain three days’ worth of these necessities per person; the HAPs, for families in need, such as city residents living in poverty, provide three days’ worth for six people. Flight 1 partners with community agencies such as the Baltimore City Health Department and International Rescue Committee to identify families in need and then sets up distribution centers at those locations. On Flight 1’s first day of operation, Smith and his team served 400 people. 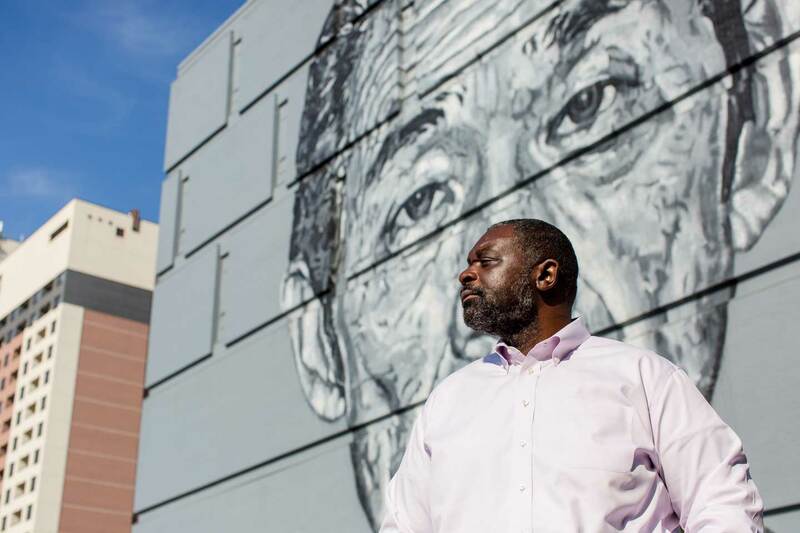 Smith has a five-year plan to expand his operation not only throughout Baltimore but the world. He knows he can help people in his own back yard, and he knows that other people need help, too.